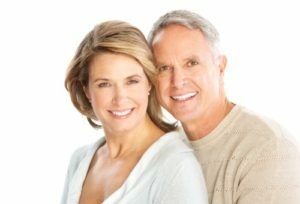 You treated yourself for the holidays by investing in Dr. Dervin’s quality porcelain veneers. We are very familiar with the benefits of dental veneers in Shawnee, KS, by correcting any teeth blemishes including cracked and worn teeth. Now, your smile is breath-taking and dazzling. But, it doesn’t mean you’re home-free from a dull smile. When you get veneers, it’s extremely important to follow these tips to keep the luster in your fabulous veneers. Stay consistent with your daily oral hygiene by brushing twice daily and floss at least once daily. Veneers are part of your purely natural teeth, and need just as much oral maintenance. Don’t use abrasive toothpastes that can scratch your veneers. One suggestion is to use fluoride toothpaste to keep your teeth clean and veneers scratch-free. If you are participating in physical sports, protect your teeth and veneers with a mouthguard. Veneers are just as delicate as your natural teeth, and collisions can easily chip or crack your veneers. Avoid stained foods because while your veneers are stain-resistant, the cement bonding the veneer is not. Eating stained foods can easily taint the edges of your veneers overtime. By protecting your veneers from outside forces, you will have a luxurious smile free from imperfections for life! Do you have any suggestions to protect your porcelain veneers? Comment below and share your stories!